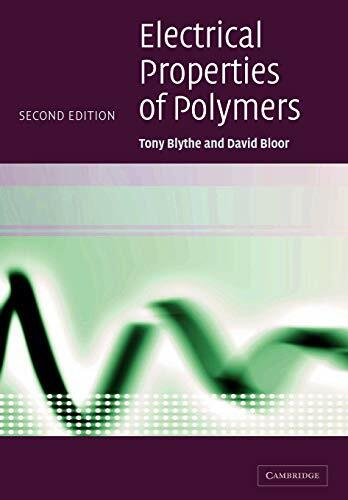 The second edition of this successful title provides a timely update on the fundamentals and recent advancements in the field of electrical and electronic properties of polymers. It provides the reader with a broad and comprehensive treatment of the topic, describing underlying physical principles and synthesis through to emerging technologies, including light emitting diodes and flexible polymers. This book will be an authoritative guide to advanced level undergraduates and graduates studying polymer, materials and physical sciences. It will also be of significant interest to researchers working in this evolving field. Anthony Blythe has been active in the area of polymer materials and processing for over 40 years. He has successfully initiated numerous ground breaking projects in the polymer field, specifically for the wire and cable industry, his achievements recognised by the several patents he holds. He has also been an external lecturer to established universities in the UK and authored more than 40 scientific papers.